With roots in the United Kingdom, oceanographer Sandra Brooke didn't give college football much thought until her postdoctoral research at the UO's Oregon Institute of Marine Biology in Charleston. She adopted the Ducks. But now she works in enemy territory. "I love the UO and would normally support the Ducks in favor of an opposing team," said Brooke, now a research faculty member at Florida State University's Coastal and Marine Laboratory. "Now I'm torn, so I guess whoever wins is fine with me." Meanwhile, her postdoctoral mentor, OIMB Director Craig Young, who began his academic career at Florida State, says he is "definitely rooting for the Ducks." 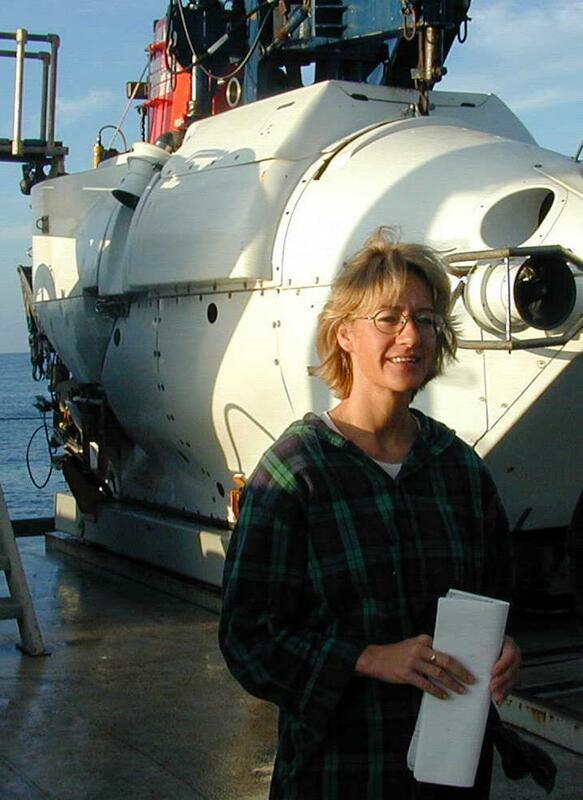 Brooke earned her doctorate from the University of Southampton in the U.K. and then worked briefly in Young's lab at the Harbor Branch Oceanographic Institute in Florida. She followed Young soon after he was named director of OIMB in 2002. Except for brief stints back in Florida and in Washington state, Brooke remained affiliated with OIMB until she left in 2013 for FSU. That move, she said, was boosted by her work on several projects at OIMB. "While at UO, Sandra worked with us in Alaska, Norway, Hawaii, Samoa, Bahamas, Gulf of Mexico and canyons off the Atlantic seaboard," Young said. "Sandra worked as a postdoc in my lab when I first came, organizing the lab, mentoring students and writing grants. Her contribution here was substantial." In her transition from the UO to FSU, she was co-lead investigator for the "Atlantic Canyons — Pathways to the Abyss" project in which a multi-institutional team, including FSU and the UO, discovered coral habitats in the Norfolk and Baltimore canyons off the U.S. east coast. Earlier this year, the team received U.S. Department of Interior's Partners in Conservation Award. She represented both FSU and the UO at the award event. Young retained a courtesy appointment at FSU for more than a decade and mentored several students who were pursuing doctorates or master's degrees.